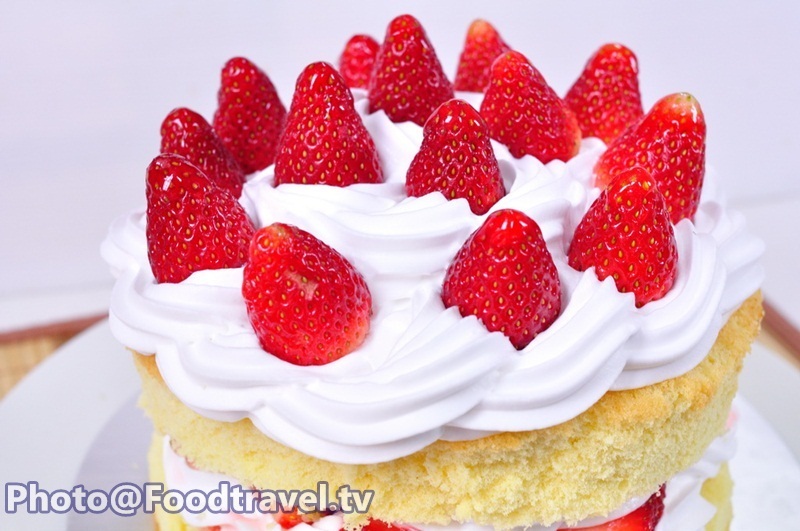 Strawberry Shortcake - Strawberry shortcake is a cake with fresh strawberries that fully stuffed inside the cake. 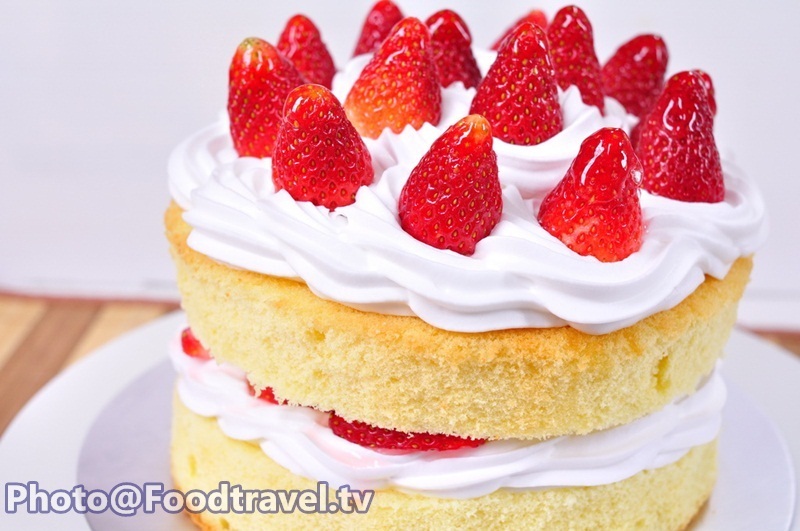 Sweet flavor of soft cream can go really well with sour strawberry! 6. Baking powder 1 1/2 Tsp. 9. 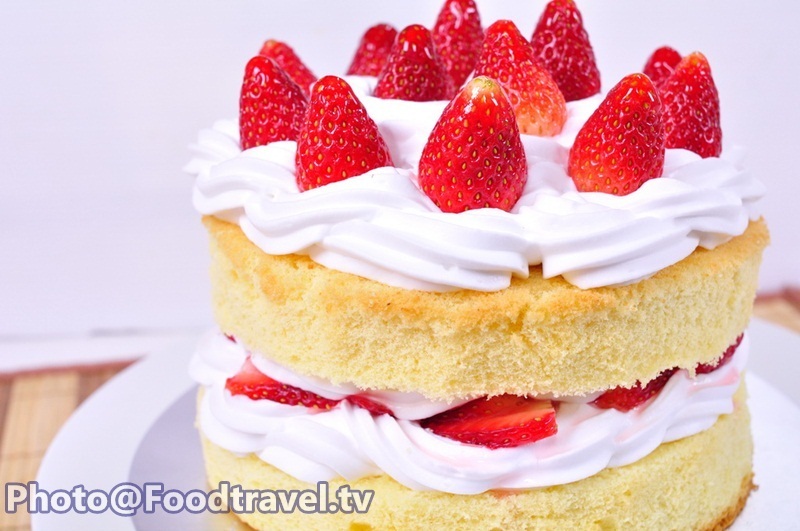 Whipping cream 300 ml. 1. Warm the oven at 175 degrees. 2. Buttered all around the cake. 3. 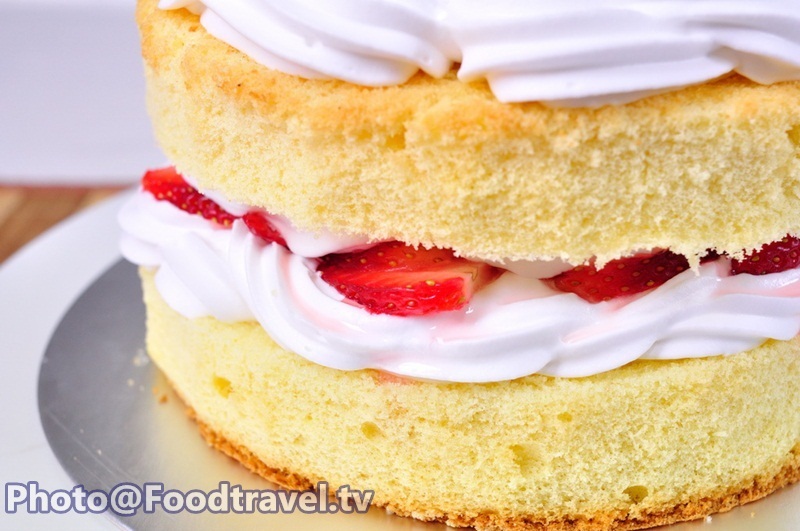 Start with sift cake flour and baking powder. 4. Beat white egg. Then gradually add all of sugar. 5. Beat egg whites until fluffy (set aside). 6. Beat butter until creamy. Add sugar and beat until combined. 7. Mix egg yolks and vanilla until well blended. 8. Add sifted mixture, flour and baking powder. Stir to combine. 9. Add egg whites meringue down. 10. Gradually stir until combined. 11. Pour onto the prepared mold. And put into the oven 30-35 minutes. 12. When cooked, remove from a mold. Stay on wire rack until cool. 13. 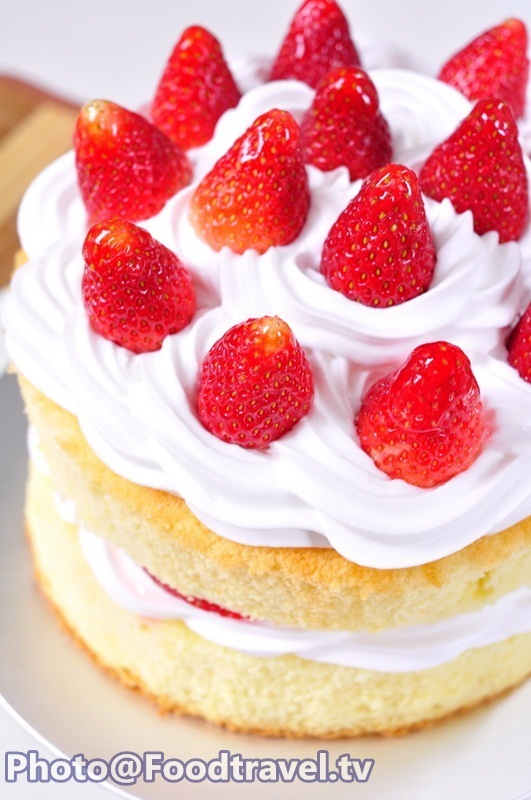 Slice cake and mix syrup with rum. Apply it over the cake. 14. 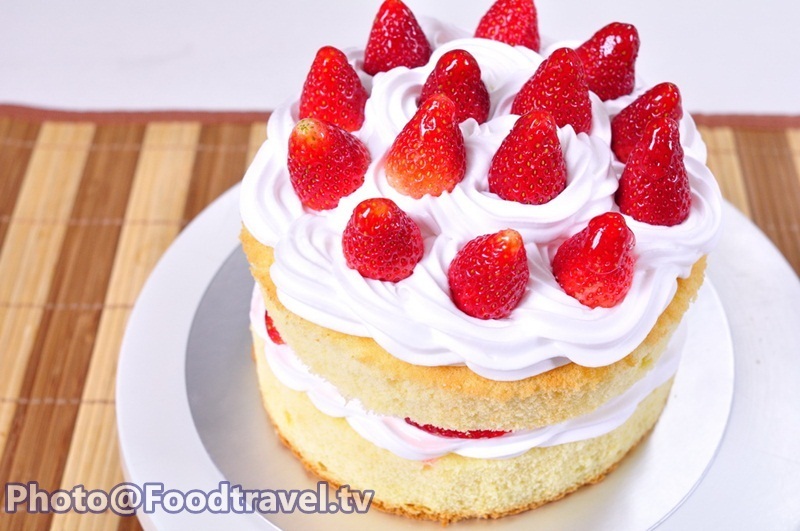 Beat whipped cream then put in a cake piping bag to decorate. 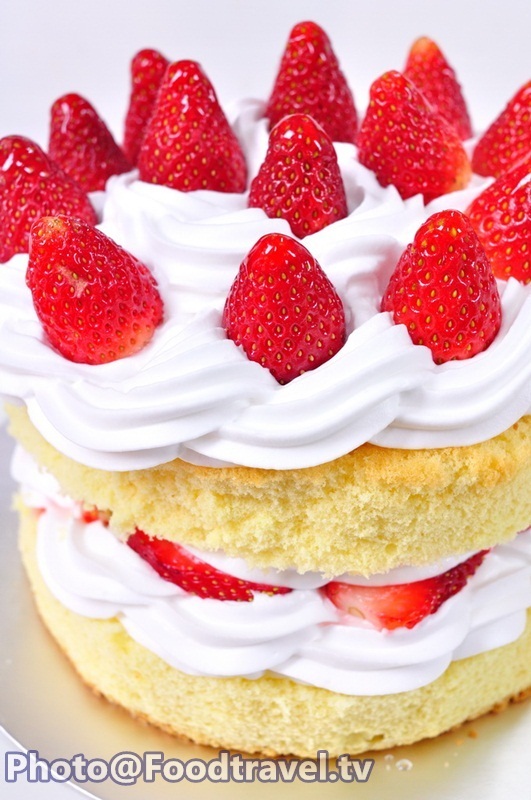 Sprinkle all over with strawberry. 15. 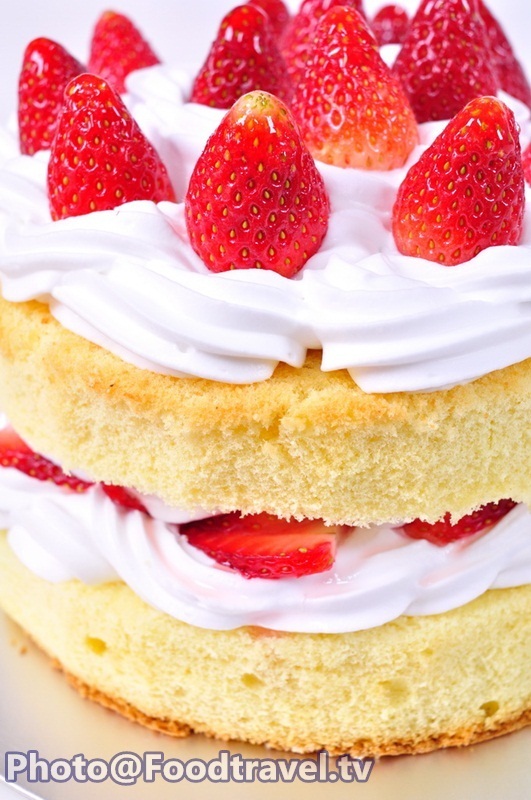 Place over with one another layer of cake. 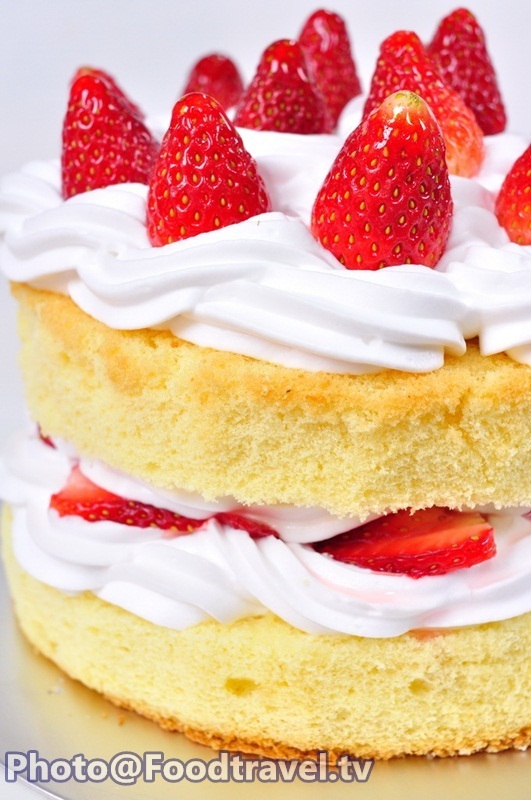 Decorate with whipped cream and a strawberry.